Camping Fusina is also an ideal starting point for exploring the lagoon city of Venice. Several times a day there is a ferry service from the local pier to Venice, which can be reached from the campsite in a few minutes on foot. Ask at reception about the departure times. Also interesting is the promenade along the campsite, where the huge ferries to Greece come almost within reach of the promenade. 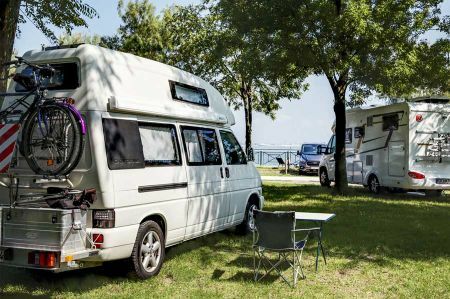 On the way to the south, the Camperclub Staranzano offers a good opportunity to spend a few days in the surroundings of Aquileia, the ancient Roman metropolis, which offers attractive destinations all year around for activities such as hiking, cycling and sightseeing Cultural property offers. We have tested and described some of the possibilities for you. 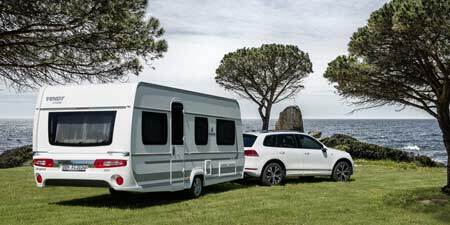 The campsite Europa Torbole is located about 193 kilometers away, directly on one of the most beautiful beaches of Lake Garda, through which it is also connected to Torbole. The site is part of a 15,000m2 park, with trees and plants typical of the Mediterranean climate.